Vitamins C, E, B6 and K, the latter being fundamental to strengthen bones. Recent studies have shown that oregano has the ability to detoxify the liver and help eliminate toxins thanks to its organic compounds and its important minerals. We have all heard that citrus fruits have large amounts of antioxidants and nutrients, but believe it or not, oregano concentrates up to 20 times more in relation to other herbs and even in relation to blueberries that are ahead of the fruits, with said properties. Its components prevent cellular aging, therefore that of the skin and benefit our body. While we are young we do not make long-term projections, but the truth is that over the years our bones weaken and we run great risks of fractures, that’s why it is important to eat healthy throughout our youth. Oregano has calcium and iron, which are indispensable minerals when it comes to strengthening the bone system and protecting us from possible osteoporosis. 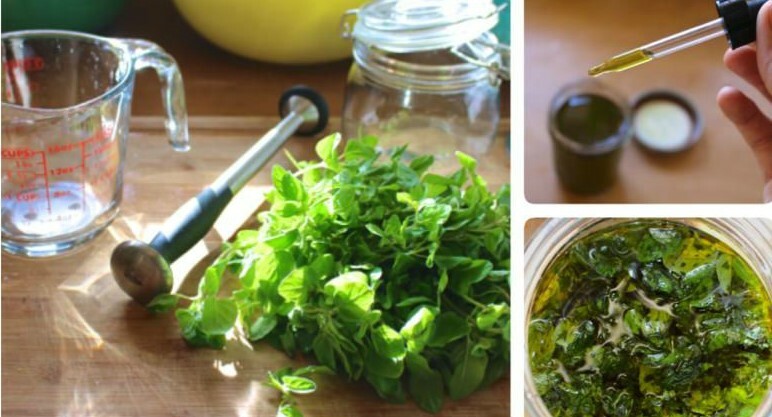 -3 teaspoons of fresh oregano or 1 teaspoon of being dry. -Boil a cup of water. -Place the oregano inside the cup and pour the water hot. -Cover the cup and let it rest for about 10 minutes. -Strain the infusion and sweeten with a teaspoon of sugar. Dry oregano, being among the foods rich in fiber, helps to promote intestinal transit, also helping to control obesity. Also, it helps to treat diseases such as hyperthyroidism, it is beneficial to the eyesight, it can help in the prevention of Parkinson’s disease and contributes the correct blood coagulation. Is an excellent home remedy to combat all types of fungi, both internally and externally. Ingesting oregano infusions combats liver, digestive and gas disorders improve considerably after meals. At the recommended doses, oregano is a very safe plant. -Cardiac excitation (due to the stimulating effects of its essential oil). Some people are sensitive to this plant and can suffer adverse reactions when ingesting preparations of the same, by allergic reactions. Oregano is a purifier of the organism. Since eliminating toxins has been widely used over the years, by our grandmothers, being very effective and economical.